Picture windows are a great way to update the look of your home. They can also add to the energy efficiency as well. Picture windows can be some of the most eye-catching elements in your home since, by their very nature, they are window frames that let the beauty of the outdoors inside your home. 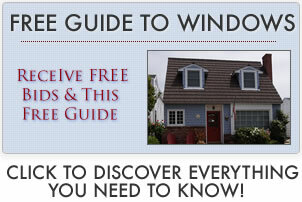 The main attraction of picture windows is that they afford you an unobstructed view of the outdoors. They are often a primary focal point in a room and can easily be combined with other types of replacements to really create a spectacular and eye-catching design. In addition to their main benefit – the view – you can opt to get picture windows that have beautiful frame finishes, decorative glass inserts, and other features that truly set them apart. Picture windows are fixed, meaning that they have no movable parts. Therefore, it is best to find the nicest view you have outside and then frame that view with a large picture window. The window then serves as the frame around a “picture” of the outdoors. They can make a big decorative statement in almost any room and are as attractive from the exterior of your home as they are from the interior. Another great reason to use a picture window in your home is to add to the illumination, since they let in loads of sunlight. Picture window prices will depend on a number of factors, such as the size, thickness of the glass, energy efficient features, frame style and brand. One of the biggest benefits these windows is the unobstructed view they offer of the great outdoors. They are fixed windows, meaning they do not open and close, and are made from a wide expanse of glass that focuses on the view outside. Because a replacement picture window does not open and close, they are also generally energy efficient, providing good weatherproofing and insulative properties. For those looking for ventilation, a replacement picture window can be flanked on either side with operable windows that open and close. 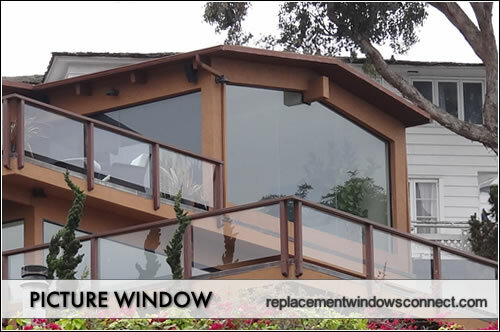 Picture windows is also generally durable, since it has no operable parts. One additional benefit of these windows is that they offer an added measure of home security because they are less likely to be broken into. Although people mistakenly think that the large expanse of glass would make it easier for break-ins, the fact that they have no moving parts actually makes it a lot harder, and therefore it is a secure option. THey are generally efficient because they are tightly sealed around all edges. You should at least buy a double paned window and look into low-E coatings, warm edge spacers, gas fills and other energy efficient options. A good rule of thumb is to check that they are EnergyStar® certified windows to insure high performance. There’s not much maintenance involved for picture windows since they don’t move, except for cleaning. You will, however, want to keep them clean because their wide open view is their main attraction, and this is not always so easy because of their size and location. The best way to clean these windows is to use a squeegee to apply a solution of water and a bit of dishwashing liquid, and then remove it completely to keep it streak-free. There aren’t too many drawbacks to picture windows, as long as you realize that they will not provide ventilation. A few main drawbacks can include the price (which can get rather expensive if you have very large windows) and the fact they can be fairly difficult to clean on the outside because you can’t just reach out the open portion of the window to clean them. Also, since there is so much unobstructed glass, they sometimes wind up being more prone to breakage, and if they do break, you have to replace the whole window – you cannot simply replace one pane of glass.